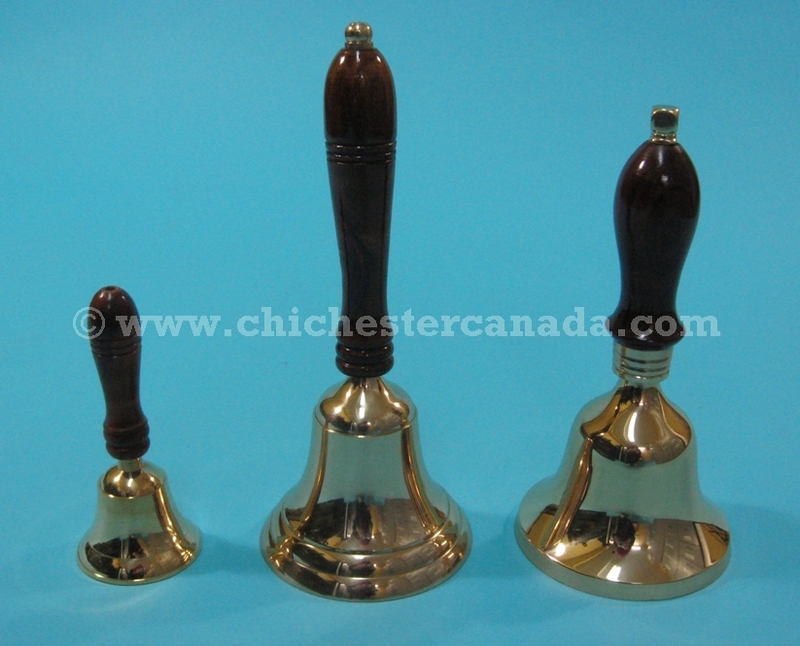 Left to Right: 5.5" & 10" Brass Bell with Wooden Handles, 9" Lacquered Brass Bell. We have three sizes of brass bells available. 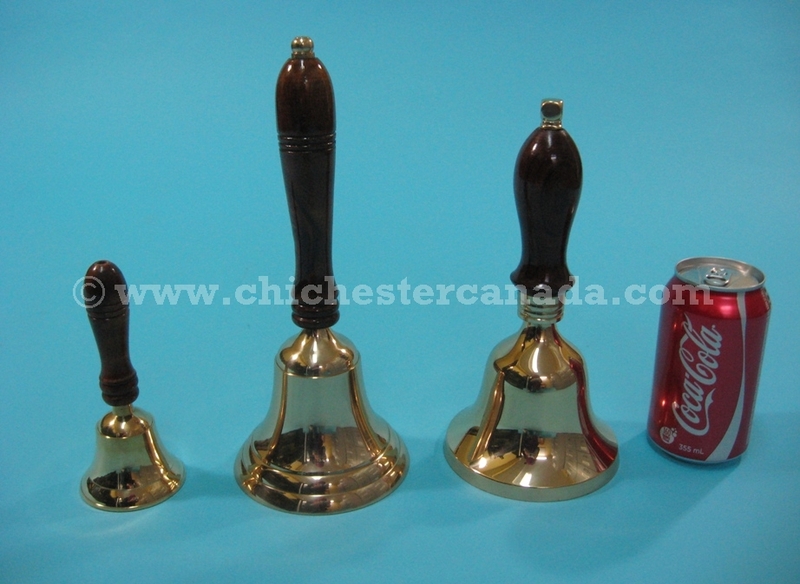 The small bell with the wooden handle is 5.5" long, 2.5" wide, and weighs 127 g. The large bell with the wooden handle is 10" long, 4.5" wide, and weighs 385 g. The bell with the lacquered handle is 9" long, 4.5" wide, and weighs 644 g.